free. open source. wicked easy. 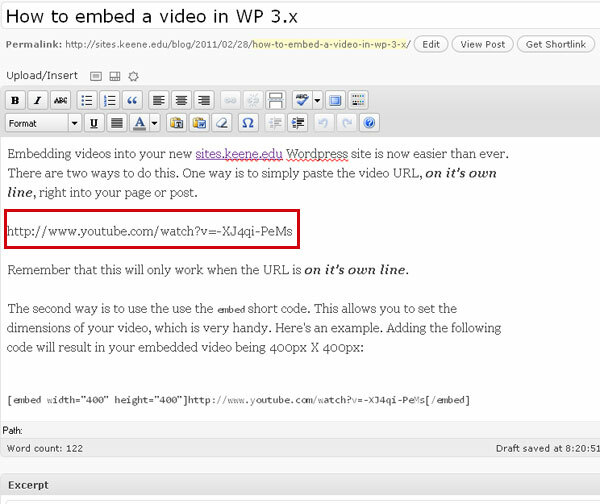 Embedding videos in your new sites.keene.edu WordPress site is now easier than ever. There are two ways to do this. Check it out. 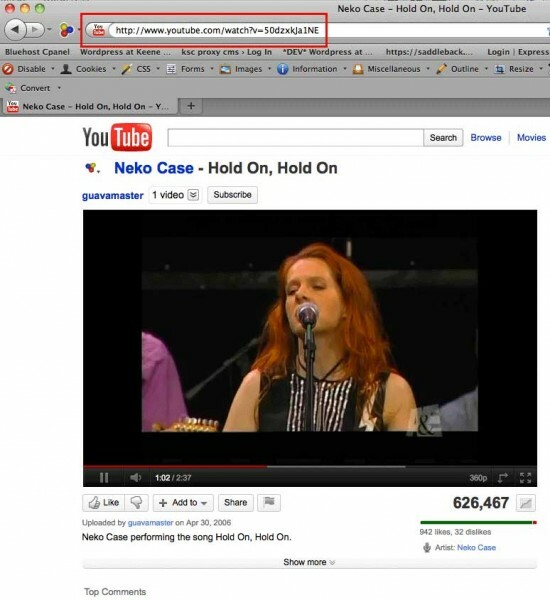 One way is to simply paste the video URL, on it’s own line, right into your page or post. Remember that this will only work when the URL is on its own line. For both of these methods, you can paste the code into either the visual editor or the HTML editor.